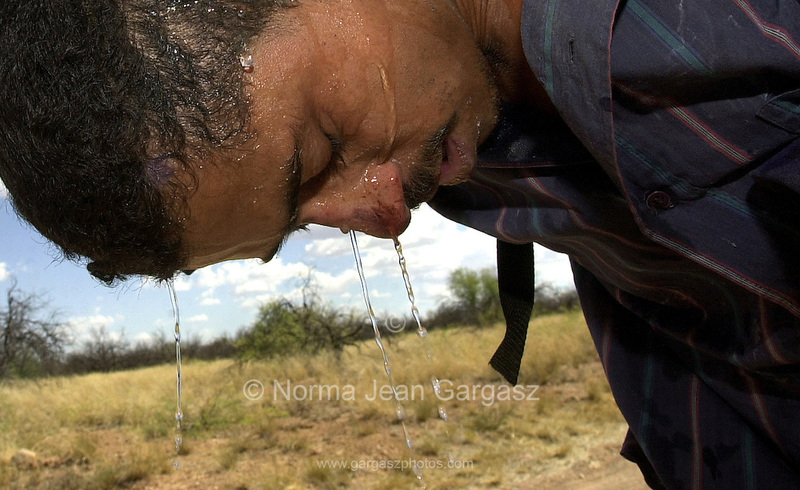 A man who crossed illegally into the U.S. from Mexico on to the Buenos Aries Wildlife Refuge in the Sonoran Desert cools off with water west of Arivaca, Arizona, USA. The man was separated from his group after running from border patrol during the night. He wandered alone in the desert after becoming disoriented.